This just in! Emmy winner Tatiana Maslany will make her Broadway debut alongside Bryan Cranston in Network. Following a world premiere production at London's National Theatre, the stage adaptation of the iconic film will now bow at the Belasco Theatre instead of the previously announced Cort Theatre. Written by Tony winner Lee Hall and directed by Tony winner Ivo van Hove, previews of the Network transfer will begin on November 10 with opening night set for December 6. Maslany will take on the role of Diana Christensen, which was played in London by Olivier nominee Michelle Dockery and immortalized in the film by Faye Dunaway. 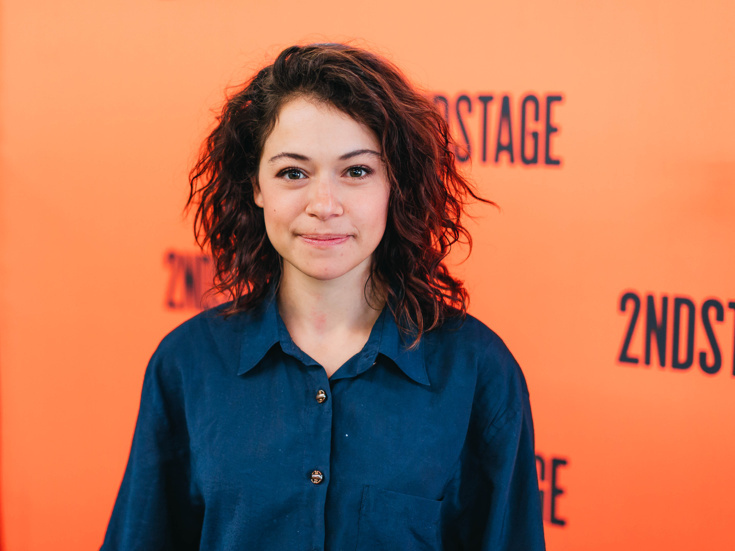 Maslany made her New York stage debut in the Second Stage Theater production of Tracy Letts’ Mary Page Marlowe at Second Stage earlier this year. Her starring role in the BBC America series Orphan Black has earned her an Emmy Award (and three nominations), a Golden Globe Award nomination and a Critic’s Choice Award. She can be seen in the upcoming film Destroyer opposite Nicole Kidman, which has a theatrical release date set for December 25. Network centers on news anchorman Howard Beale (Cranston) who isn't pulling in viewers. In his final broadcast, he unravels live on screen, and as the ratings soar, Howard becomes the biggest thing on TV. The film, written by Paddy Chayefsky and directed by Sidney Lumet, won four Academy Awards in 1976. The stage production feature set and lighting design by Jan Versweyveld, video design by Tal Yarden, costume design by An D’Huys and music and sound design by Eric Sleichim.